A few more angles . . . 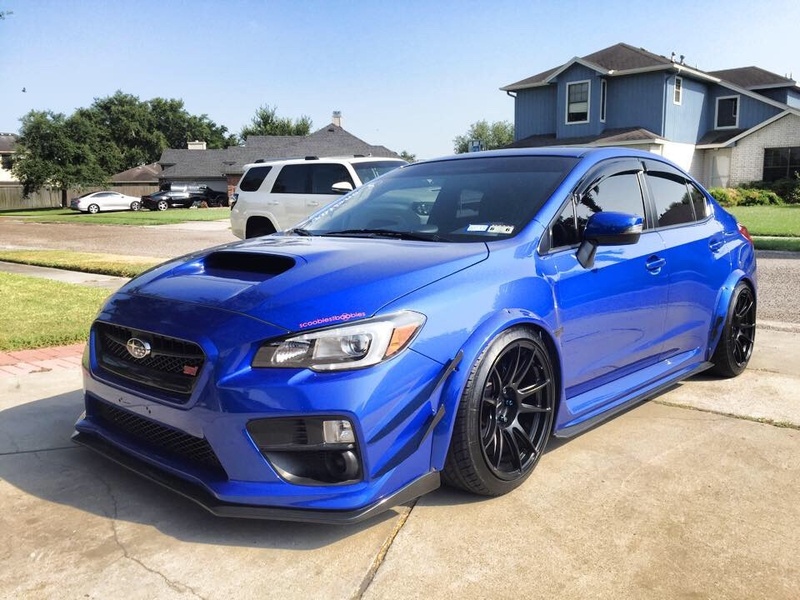 I feel like I'm the only person of any car running this color on the 57DRs and finally posting on this thread after having the wheels on for almost 5 months. 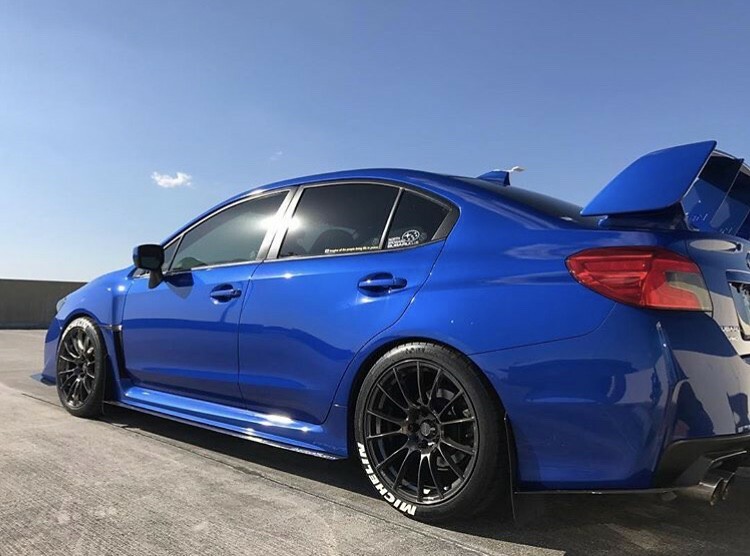 18x9.5 +38 Eternal Blue Pearl Grams 57DRs with 255/35/18 Michelin Super Sports and HKS Hipermax IV-SP coils with Cusco rear LCAs. 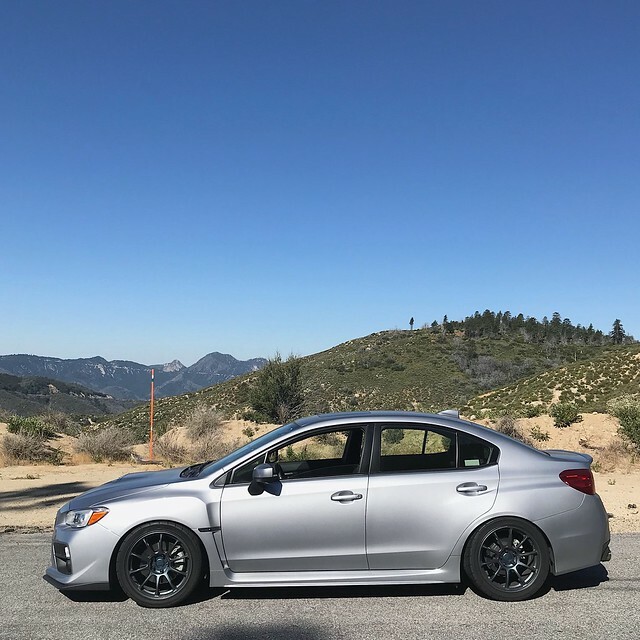 Planning to buy 18x10 +39 offset on some 265/35/18 Michelin sport 4s. I have an ‘18 STI, will this set up clear the brembos and have no rubbing issues? 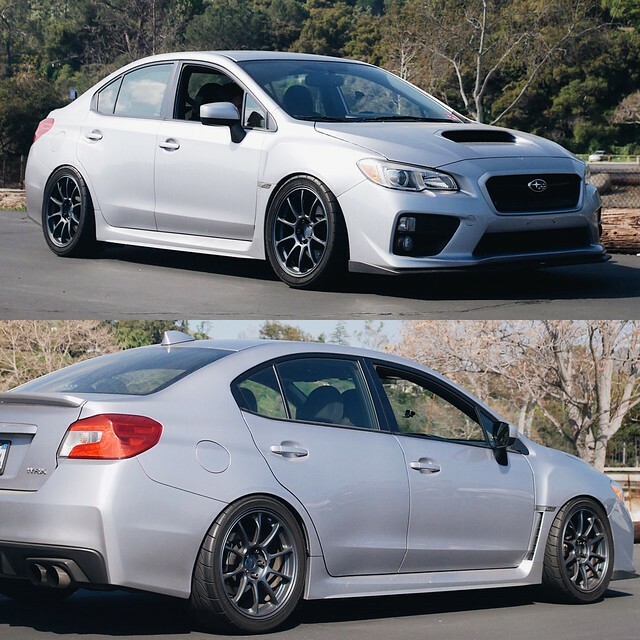 Or 18x9.5 +38 is better? 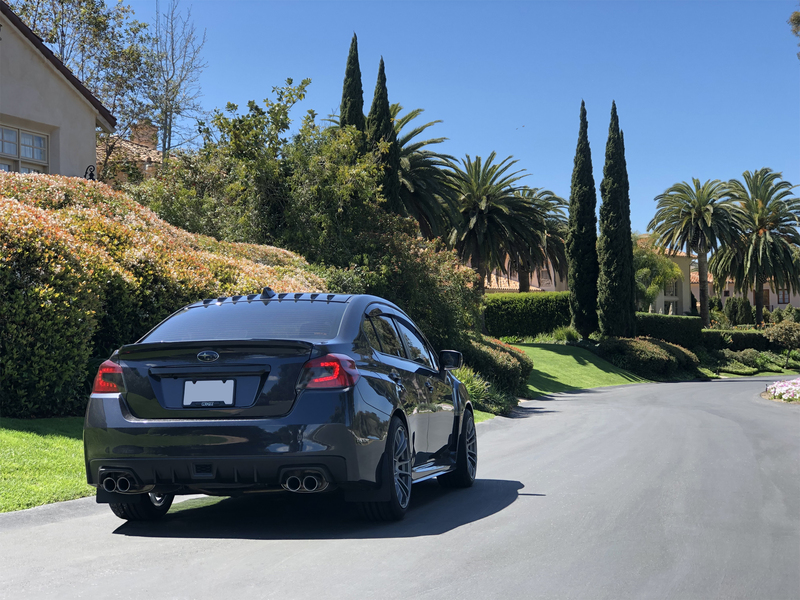 I will running on stock height for now and will be lowering in the future. Not my car but came across this on the interwebs. These are listed as 18x10.5 +22 with a 275/35/18 tire. Not sure if anyone has any info on these wheels but they're the Circuit Performance CP32 in black. I think they look pretty good for being sub $100 each wheels and 23 lbs which is the same as the Avid Av20. 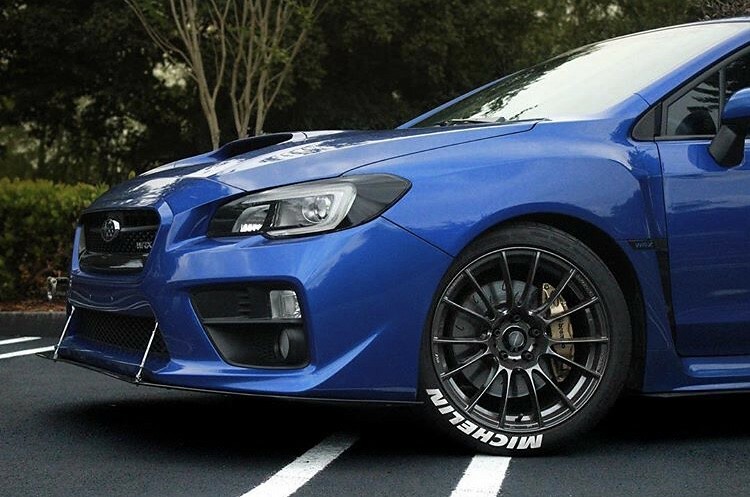 Came across these wheels on nlmotoring.com in a 18x9 +35. They are around 23 lbs each which isn't terrible. They are about the same weight as the Avid Av20 wheels a lot of guys run. Sometimes they are about $60-$100 per wheel when NLmotoring runs clearance deals on them. So far only came across these two pics on a 2015+ body. 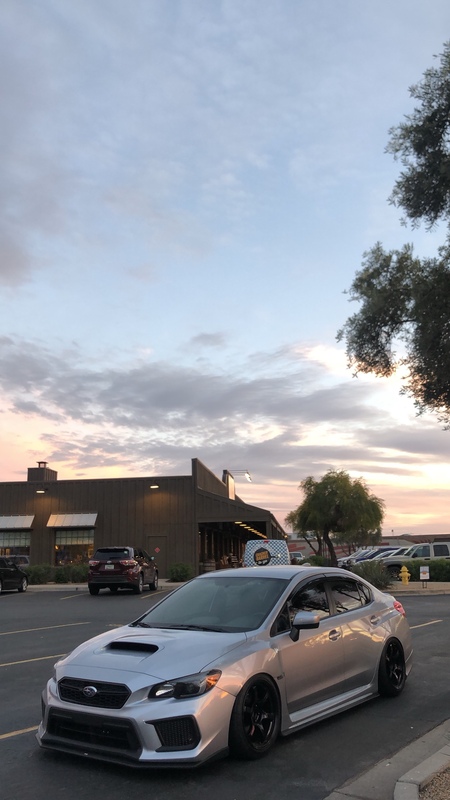 Anyone know if the owner of this car is on the forums? Looking for more pics if they're out there. I kinda like the look in black. 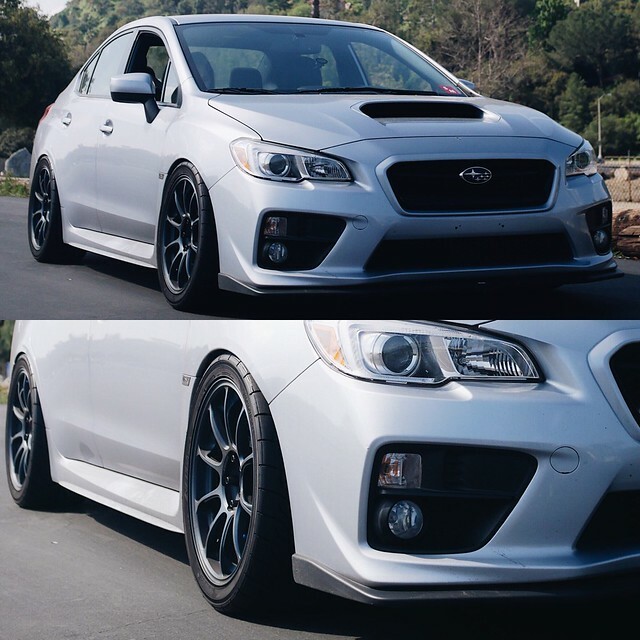 Any one have a 18x8.5 +35 or 18x9 +35 set up? Looking at some TE37's and I'm not looking for flush, but just inside the fender well. Pretty extreme for somebody who isn't claiming any recent autocross or track day activity . . .
Why would you choose to live with the downsides of an alignment that's out there near the ragged edge of what even the extreme people in either of those activities use, and then only drive it on the streets? Just so you know, I've up-sized the tires on some of my cars by 40 or even 50mm, with wheel widths upped by 2.5" and even 3", without needing to go full-race with the alignment just to make them fit. 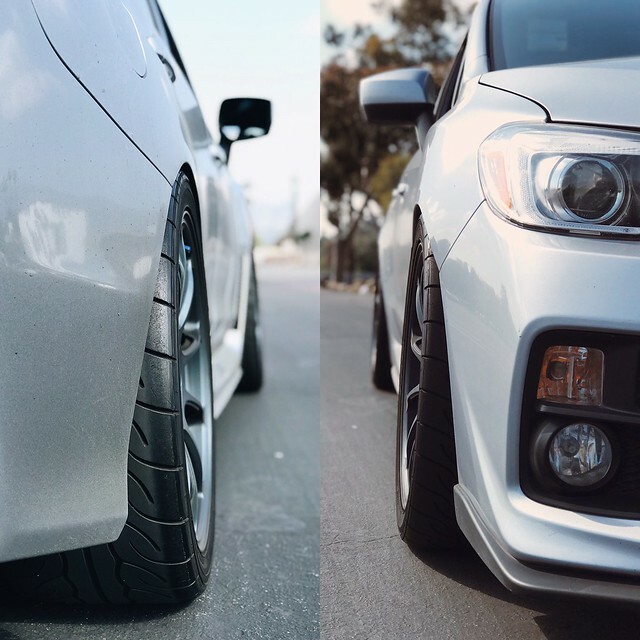 no spacers, untouched fenders, -2.5/-1.5 alignment, tell me if those alignments are "full-race"
Last edited by kaeknows; 03-25-2019 at 01:01 PM. 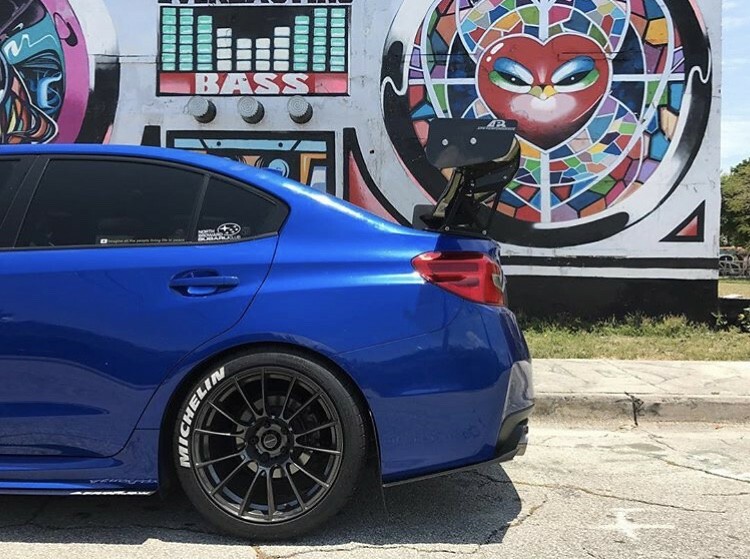 anyone rocking 18x10.5 +22, what did it take to fit them? 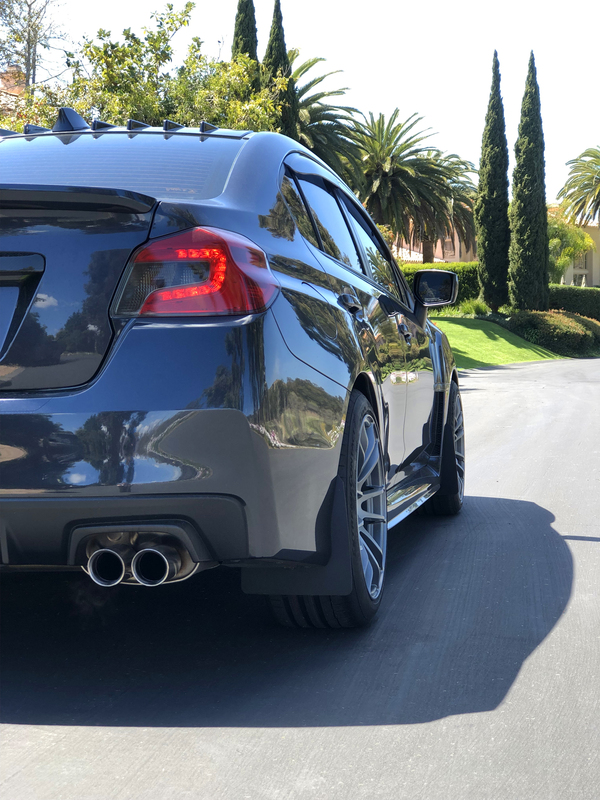 is rolling fenders enough? To achieve this I’ve had to roll and pull the fenders and shave the rear bumper tabs. Im currently on 14k Bc Racing Extreme Low coilovers , Cusco LCA’s, Racer X ruca, and Racer X toe arms. My current alignment is -3.7R and -4F. 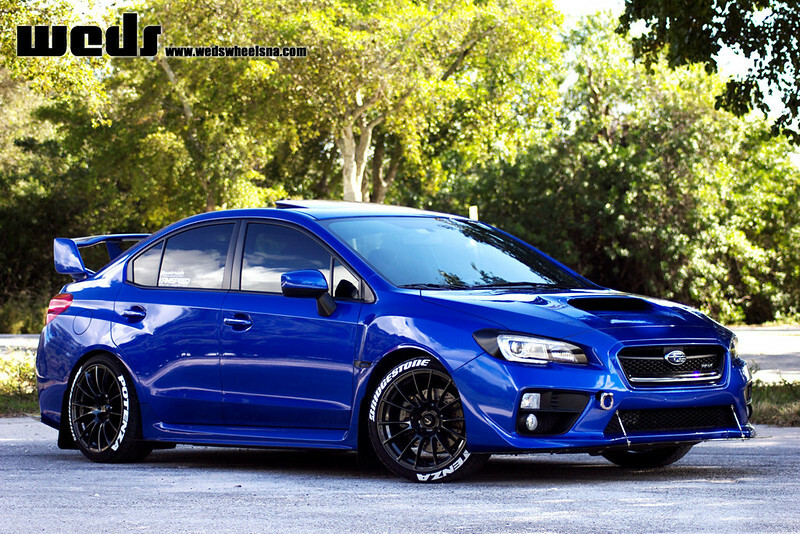 This setup is definitely very achievable with little modifications if you don’t go as low as I did. I am currently in the process of raising the car up and running a 255/35 tire. But according to Norm my alignment is only meant for race cars. i didnt know -3.5/-3 was the most extreme i can run on my street car, thank you for the heads up /s. Just so you know I've also ran 245/40 on the same wheels w/o spacers on -2.5 and -1.5 alignment without touching the fenders, i can also dial in my camber to -3 and -2 with this current setup, which I'll be doing when I rotate my tires. 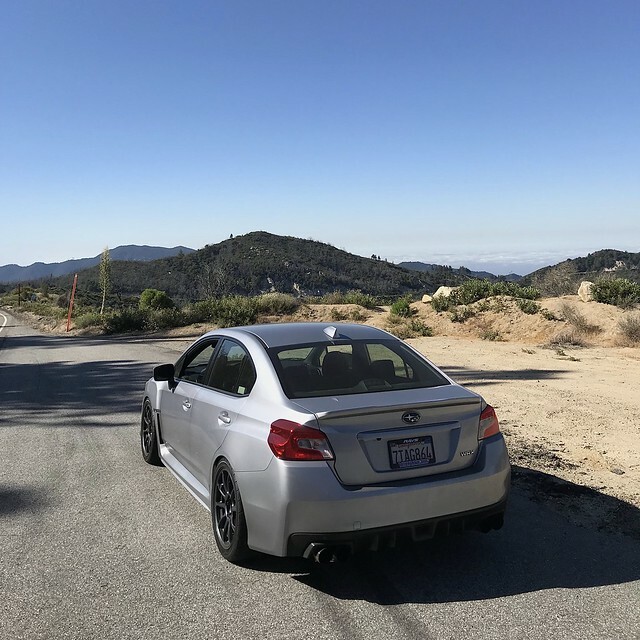 Sounds about what I'd try for a true dual-purpose DD/autocross or DD/track car running on max performance summer tires (MPSS, PS4S, or comparable). Test, and go from there. "Dual purpose" could still be 95+% street . . .
Ah, yes. "Retard" is your new go-to word when you've got nothing constructive to add. ... Im currently on 14k Bc Racing Extreme Low coilovers , <snip> But according to Norm my alignment is only meant for race cars. As long as cornering roll is under even a semblance of control - and with 14 kg/mm springs I can't see where it wouldn't be - you're never going to use all of the contact patch that's there unless you're actually running at race pace enough of the time to need that much. And hard street driving rarely gets above 2/3 of race pace in terms of cornering g's. That old saying "some's good, more's better, and too much is just enough" has apparently has found new applicability. Last edited by Norm Peterson; 03-26-2019 at 08:49 AM. Seemed like a wide-open invitation to me. But according to Norm my alignment is only meant for race cars. Oh well, maybe somebody else will find the information useful (feel free to take some of the credit for that information getting out there at all). any rubbing of any sort? 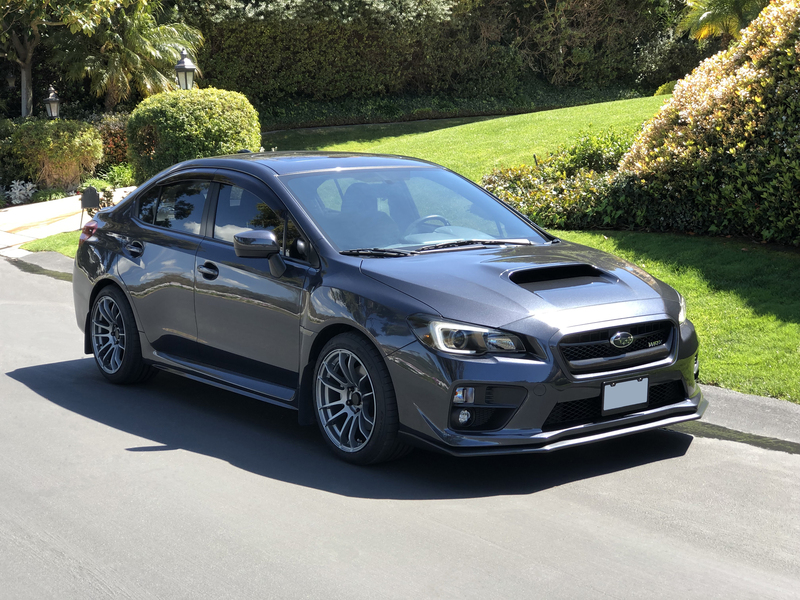 i am running same setup and looking to get coilovers but was wondering of clearance issues. tia! 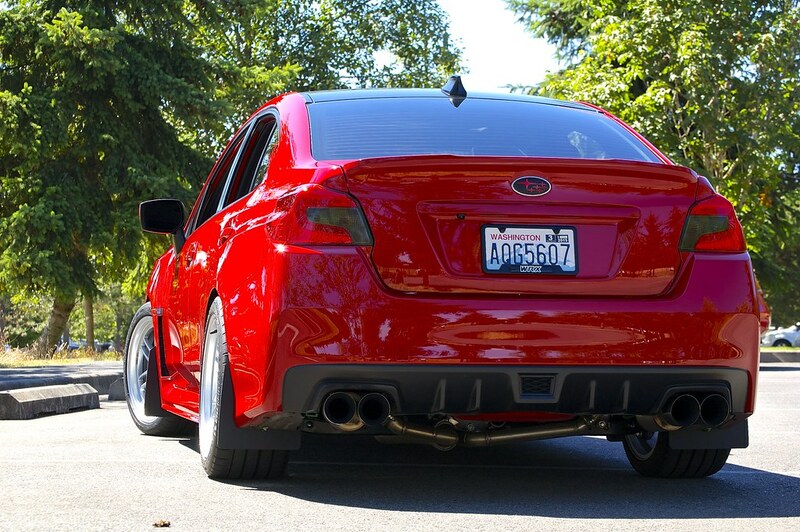 ^His rears are rolled. Very common setup. maybe i just wont drop it as much? 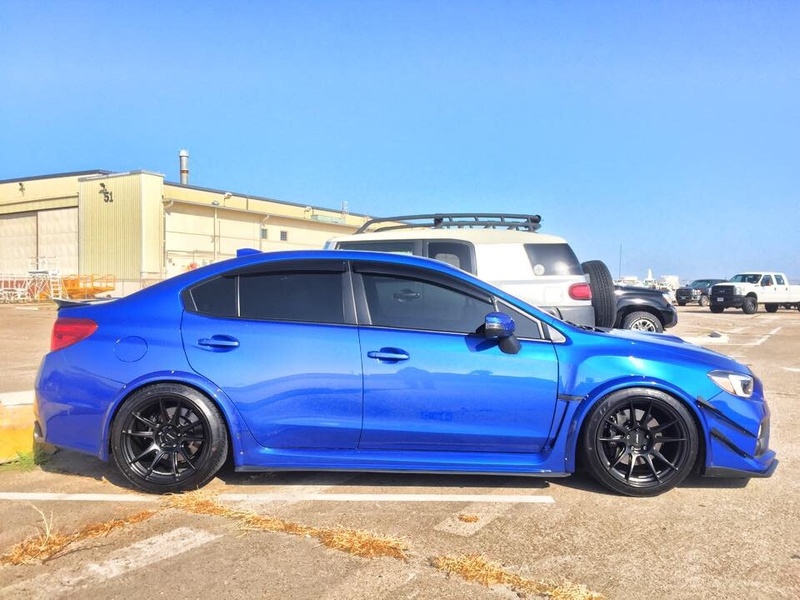 Anyone have Wedssport SA72R wheels 18x19.5 +38 setup? Any photos? I'm on Swift springs and don't normally rub on 265/35 tires. I would imagine stock height should be even more okay. I've rubbed once, hitting a pretty nasty dip on the freeway going about 70mph, but that's about it. Obviously YMMV depending on driving style, how much stuff you carry in the rear/trunk, and even the tire itself as some brands/tires are wider than others even within the same size. But at stock or close to stock heights, I don't think 265/35 is as tight of a fit as many people think it to be If you're on coilovers or bags then that's another story altogether.